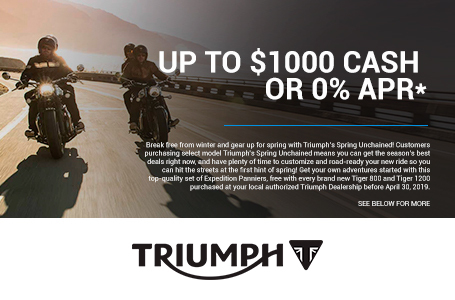 With the latest generation of Bonneville rider-focused-technology for enhanced control, comfort and safety. 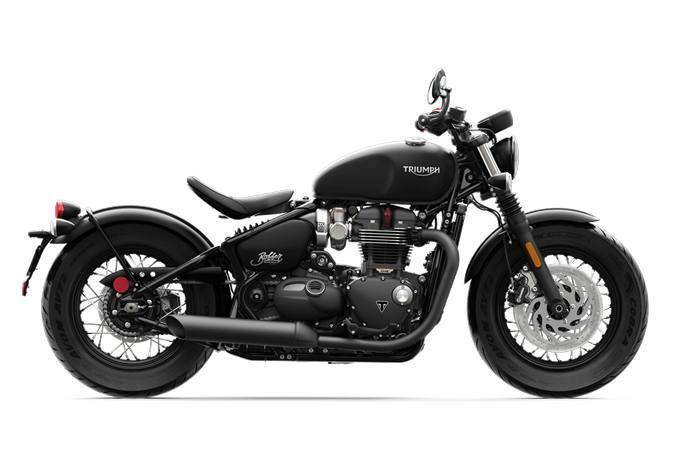 Including two Riding Mode options – Rain and Road, switchable traction control, torque assist clutch, ABS, immobiliser and, unique to the Bobber Black, and intuitive single button cruise control. With a fully blacked out style and even higher level of unique premium finishes - from the black chrome plated headlight rim to the unique black seat pan. The fat 16-inch front wheel, twin discs and imposing 47mm Showa front forks, give’s the new Bobber Black even more poise and on-road presence. Beautiful Premium Details and Finishes: Incorporating a host of stylish Bobber details and premium finishes. Including battery box, classic rear ‘drum brake’ inspired hub, carb style throttle bodies, black bullet LED indicators, rear mudguard loop, side mounted ignition barrel, bar end mirrors and branded locking fuel cap. Tank Capacity: 2.4 US gal.